Phil Chapman | Cue Castanets! Maybe I should put the spotlight on UK-based engineer / producer Phil Chapman for my next installment of the ‘Would-be Spectors’ series, because his current remixing project of both Spector releases and likeminded tracks will surely interest Cue Castanets readers. Through the years Chapman has of course worked professionally on numerous recording projects of interest to Wall of Sound fans, but his latest endavour is merely for the fun of it and due to his recent acquisition of some new recording and mixing equipment. The results are sure to impress you. It’ll hit you and it’ll feel like a kiss, alright! A while back I wrote about his fantastic mix of ‘I Can Hear Music’ by the Ronettes, – surely, you’ll agree that this new mix with added layers blows the original out of the water? This time, Phil Chapman has worked his magic on that most extremely gargantuan production that is ‘I Wonder’ by the Crystals. In its original version a massive monophonic monster that I have previously written about in my ‘Odds & Ends’ feature where I sometimes highlight specific, overlooked Spector productions. So I was pleased to hear Chapman’s elaborate mix with added layers and all sorts of details that keep the spirit of the original firmly in place but attempts “to give give it the same impact today as it had in ’64” as he writes on youtube. Enjoy this sensational remix. As if this wasn’t enough, Chapman has also been working on an equally over-the-top mix of Jackie Trent’s Spectoresque ‘If You Love Me’ from the same year. 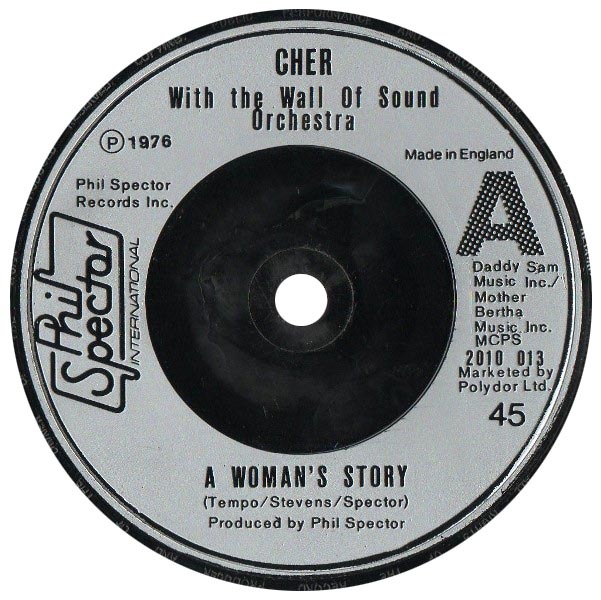 Produced by her husband Tony Hatch, probably the closest the UK came to having its own Bacharach, in its original version this very catchy song stands as a worthy attempt at recreating the magic sound of Spector and the Wrecking Crew. Chapman builds on this foundation with some choice samples and added layers to emphasize the production’s dynamics. It works very, very well, even in this rough, unfinished mix. I’ll leave you then with a nice slab of British wall of sound with all engines go! Here’s a little something that’s guarenteed to bring your weekend off to great start; a brand-new and fantastic mix of ‘I can Hear Music’ by Wall of Sound-über fan Phil Chapman. 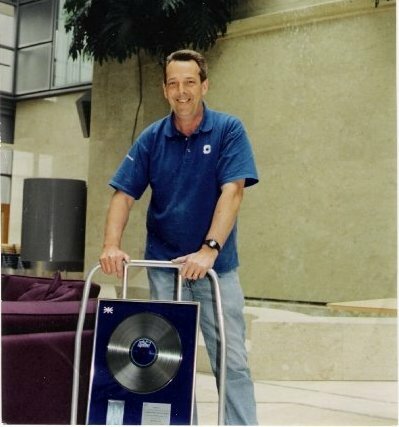 As some readers here may know, Phil Chapman has had a long and interesting career in the recording industry serving as both an engineer and producer. In the near future, I hope to feature an interview with him offering his expert knowledge on the Wall of Sound, but for the time being, enjoy this mindblowing remix of the Jeff Barry-produced Ronettes version with added layers. This mix definately gives an impression of the kind of monster record ‘I Can Hear Music’ could have been in the hands of Phil Spector. Surely, Cue Castanets readers must agree that this more elaborate version makes the original Barry production pale in comparison. It’s also fitting that this new mix has been shared on the youtube channel of fellow Spector fan Anthony Reichardt, – this is just the latest in a long, long line of great tracks he has made available to listen to for music fans. 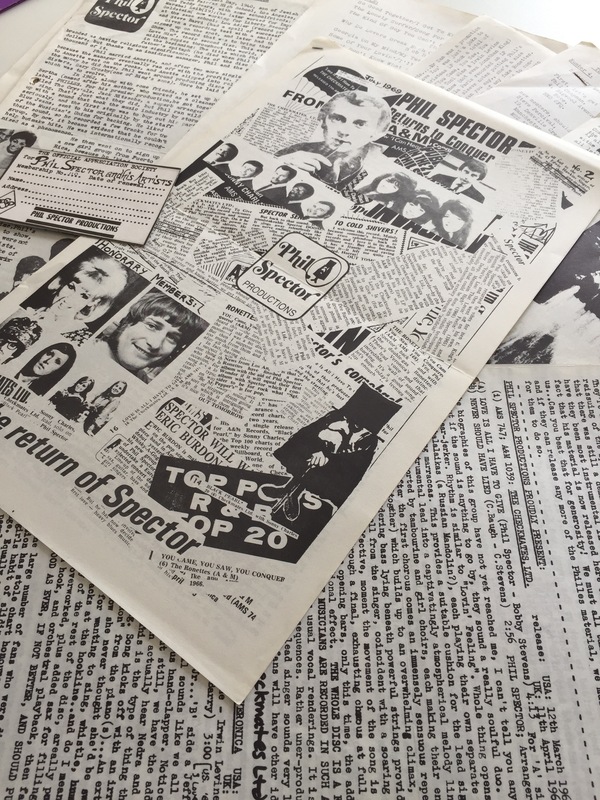 More than a year ago I devoted some blog posts to the history of Spector fandom, specifically focusing on the UK based Phil Spector Appreciation Society (PSAS) that was active during the second half of the 70s. 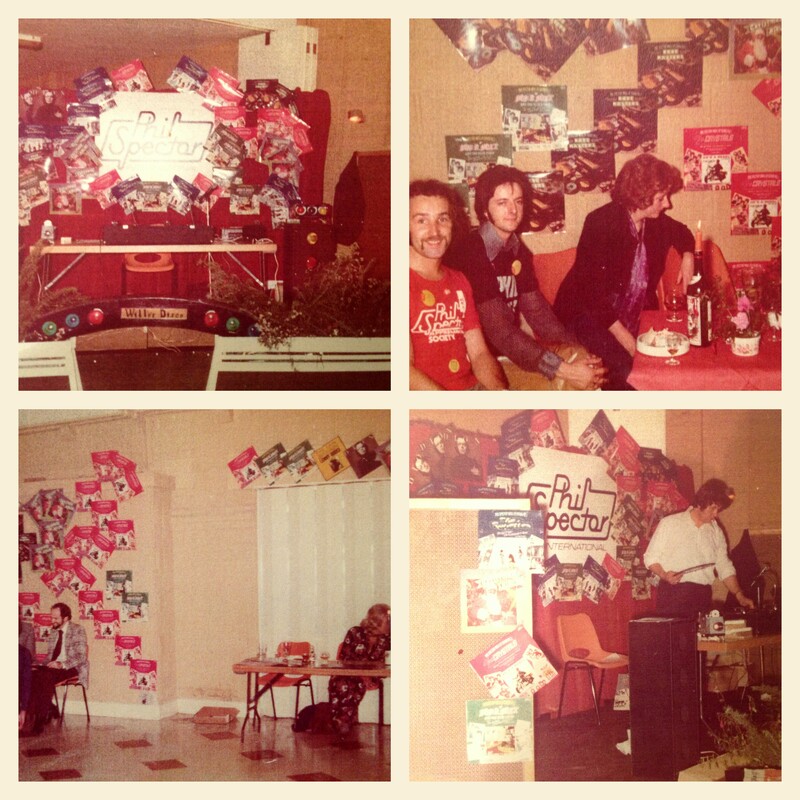 I was even able to follow-up with an interview with Paul Dunford who formed the PSAS in 1975. In terms of the 70s, it’s fascinating to look back on this phase of Spector’s career and the lust for news, ANY news, felt by the admirers of his sound in Europe and the US. The previous decade had been Spector’s golden era with a steady flow of fantastic productions coming out of Gold Star studios. 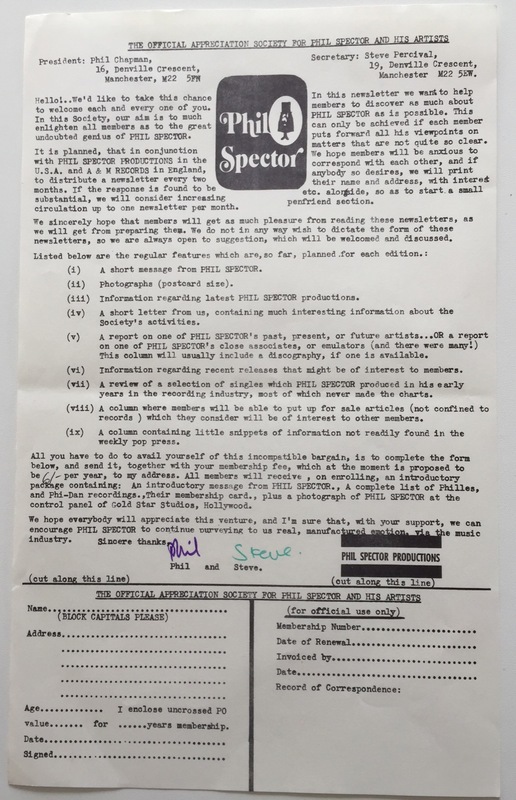 But come the 70s, the output dwindled – and even though Spector was still very much in demand, working with John Lennon and George Harrison as his most high-profile ventures, news about future plans and projects became infrequent. With less coverage in the music papers and newsletters, Spector fans were more in the dark about upcoming projects than they’d ever been. There definitely was a void to be filled for those who still worshipped at the altar of echo and bombast despite the ever changing trends of popular music. 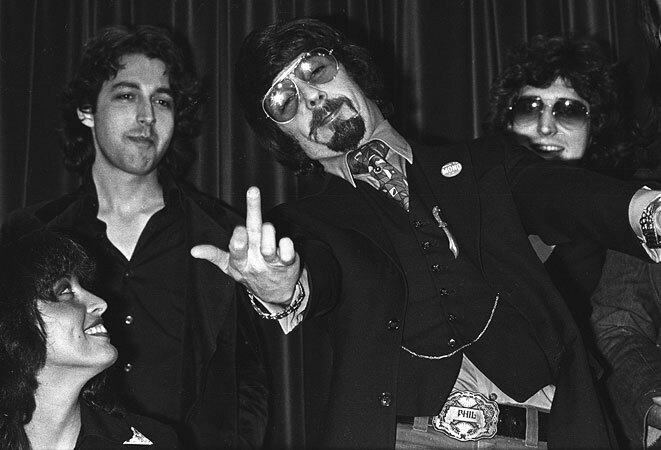 Phil Spector with the Kessel Brothers during the 70s. As a music fan in my mid-30s, one who’s practically grown up with the advent of the Internet and online music resources, it’s interesting to consider how difficult it must have been for Spector fans in the 60s and the 70s to stay updated. With no internet to consult, discovering new releases or gathering more info on your favorite Spector recordings depended on chance encounters in record stores or at record fairs, the odd news article or review in music papers or, if you even knew about this option, a membership of PSAS. However, what’s interesting is the fact that PSAS in fact got its name from an even earlier association started in 1969 by two young British Spector fans and friends, Phil Chapman and Steve Percival. When Paul Dunford started up his fan club in 1975, hot on the heels of the publicity garnered from the first Rare Masters compilation of previously unreleased 60s Spector productions, he simply reused the name. 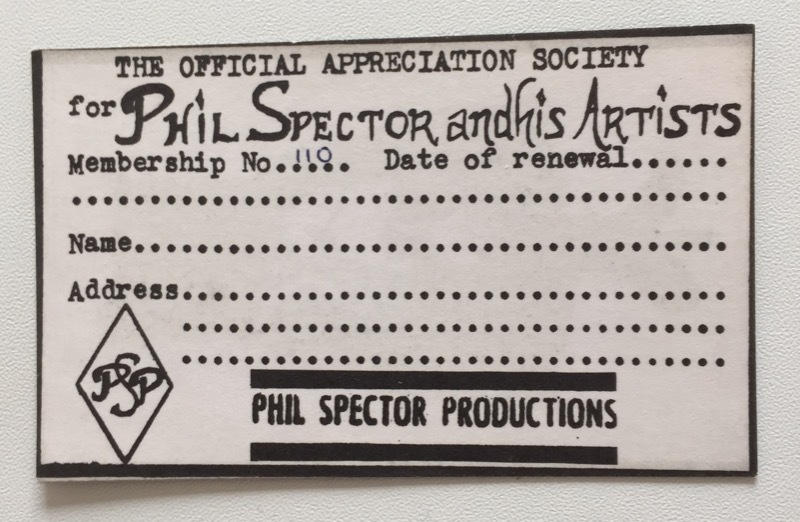 Lately, I’ve corresponded with Phil Chapman of the first PSAS and I hope to be able to feature an interview with him about this fan club and other Spector-related topics shortly. 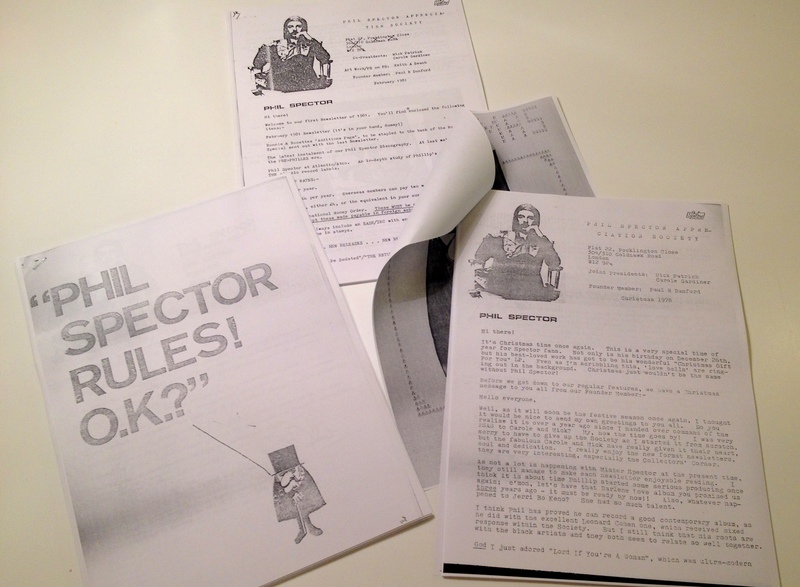 But besides this, Phil has also been kind enough to send me a package with all six newsletters that the first PSAS eventually issued as well as some related material. Here’s Phil and Steve’s original description of their vision for the PSAS sent out to the likeminded fans who responded to their music paper ad. 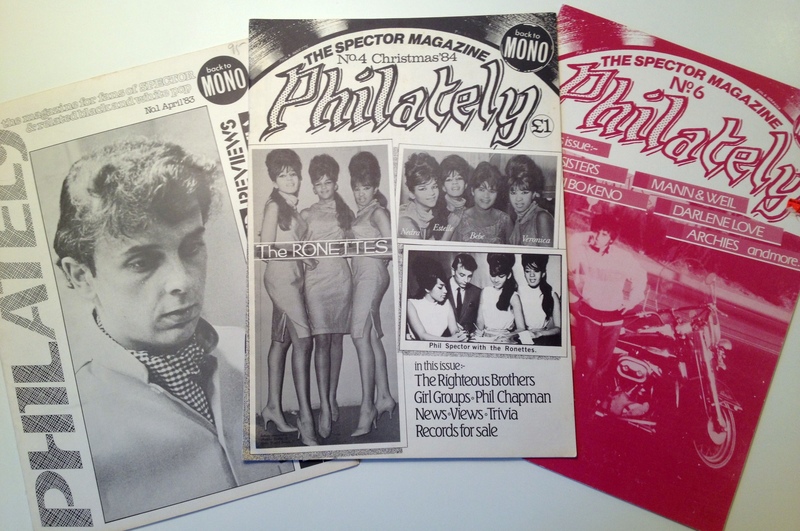 I’m very grateful that Phil would share all this with me as it means that I now seemingly have a complete set of the Spector fan club newsletters / fanzines issued through time – ranging from the very first newsletter by the first PSAS in ’69, all the newsletters by the ‘second’ PSAS throughout the 70s and finally all copies of the more professional fanzine ‘Philately’ that picked up the mantle in the 80s. 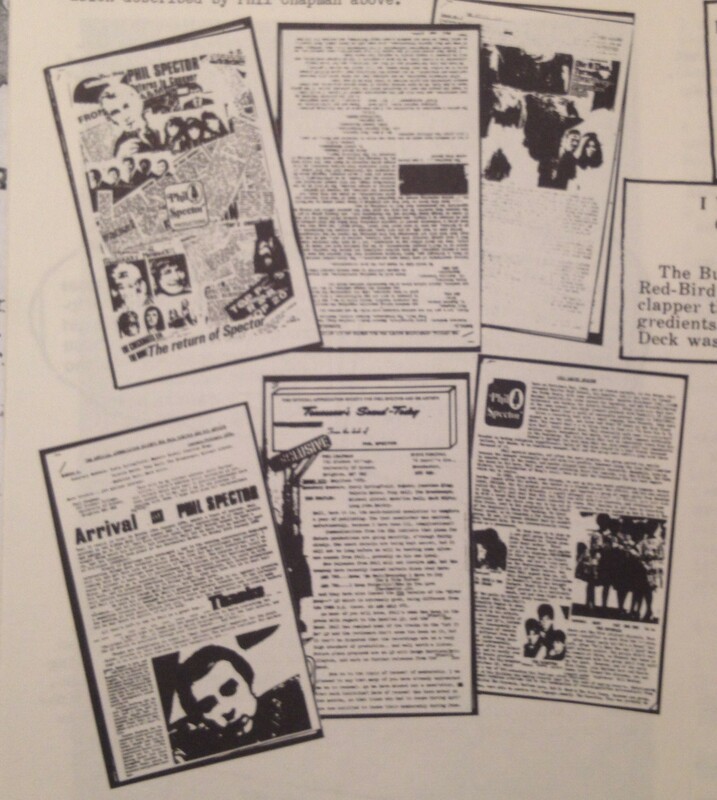 This later fanzine was helmed by Spector expert Mick Patrick whose compilation work for UK reissue label Ace Records is essential listening for anyone following this blog. Why, it’s an original Membership Card for the PSAS, just waiting to be filled out with my name! Sadly, I’ve joined the party almost 50 years too late. So to get to the bottom of things, this lengthy blog post is basically just to present to you the stuff Phil has kindly shared with me – I’m sure you’ll find it as interesting as I have, so no need not to share the info with likeminded fans. So, how did it all come about, then? 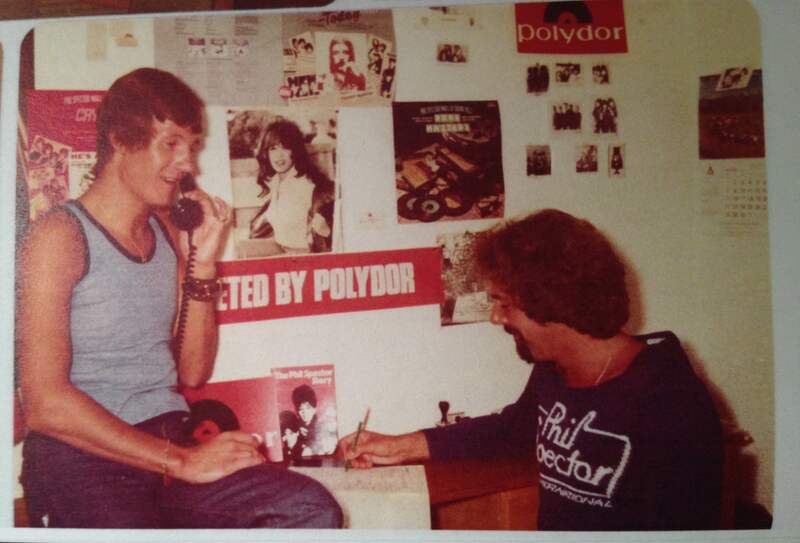 Well, during the 60s Phil had discovered Spector’s music and wrote back and forth with other fans he had befriended through pen pal-type ads in the local music papers. Having done so for a while – and finding that they basically just exchanged the same tid bits of info about all things Spector – he realized it might be easier to just set up an actual fan club. Contact was made with Spector’s office and lo and behold – official recognition enabled Phil to place the following ad in British music papers. Soon, enough fans had expressed interest for Phil and his partner-in-crime Steve Percival to launch a fan club newsletter for the first PSAS, aided by promotional photos and similar material provided by Spector’s US office. During this time Phil and Steve were still in school which makes their pursuit of setting up a fanclub and establishing contact with Spector’s office even more impressive. Naturally though, their young age and lack of experience of course meant that the newsletters has a certain naivity and amatuerness to them but you can certainly sense the earnest love for Spector’s music throughout. 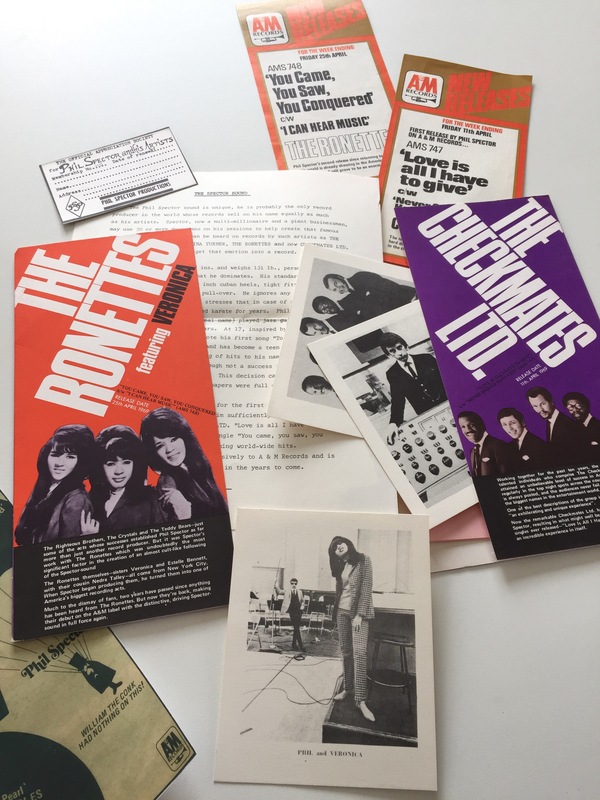 The first newsletter was sent out in May 1969 just as Spector was emerging again as a music force to be reckoned with by way of ‘You Came, You Saw, You Concquered’ by the Ronettes and ‘Love is All I Have to Give’ by the Checkmates Ltd, – both on A&M. By # 6 in May/June 1970 the PSAS, in its first incarnation, had run its course due to other obligations in Phil and Steve’s lives. Taken as a whole, the newsletters that were issued are very similar to the newsletters the second PSAS put out in the mid-70s. We’re talking Xeroxed pages with occasional newspaper clippings or photos thrown in. Newsletters 1-6 issued by the first PSAS. In general, Phil and Steve reviewed the latest singles or albums such as the Checkmates debut LP for other fans. They also discussed soundalike records and listed discographies that could aid Spector / Wall of Sound collectors. Reading through the newsletters, I was glad to learn about the driving ‘Boys Cry’ by UK singer Eden Kane. Great track! And one that had somehow escaped me. 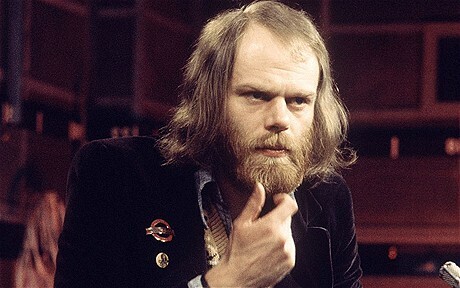 Later on, Phil Chapman would become a music producer himself who often used his expert knowledge to achieve a convincing Wall of Sound on his own productions. You can almost sense his future endeavors by reading some of his reviews for the PSAS newsletters. Often, he points out very specific details about the production values that reveal how intently he listened for things buried deep in the muddy mono mixes. 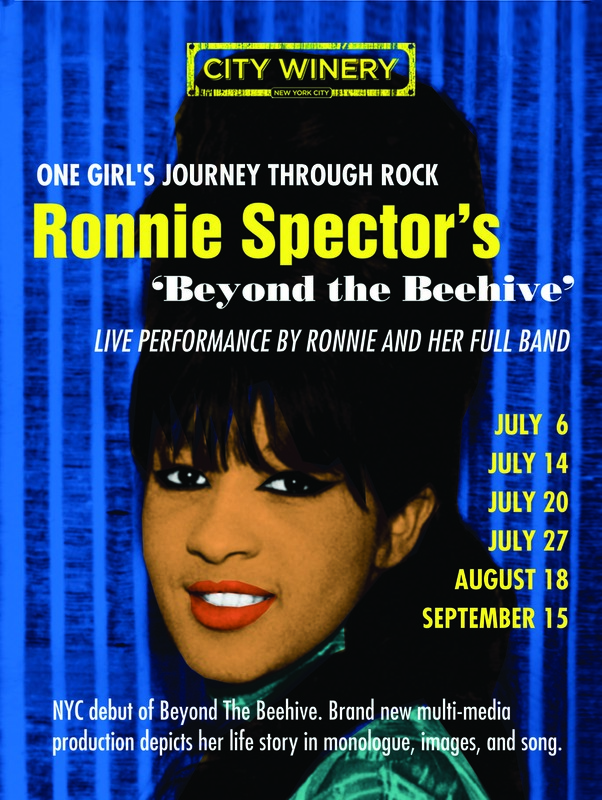 What’s interesting is the fact that tiny bits of info scattered throughout the newsletters, and undoubtedly coming from Spector’s camp to the PSAS, would indicate that ‘You Came, You Saw, You Conquered’ and ‘I Can Hear Music’ were intended for a follow-up Ronettes album. This of course never came to fruition but one wonders how much may have been recorded? Unless, of course, Spector planned to just dust off old tracks like ‘Here I Sit’ and ‘Paradise’ and issue those with the A&M single? 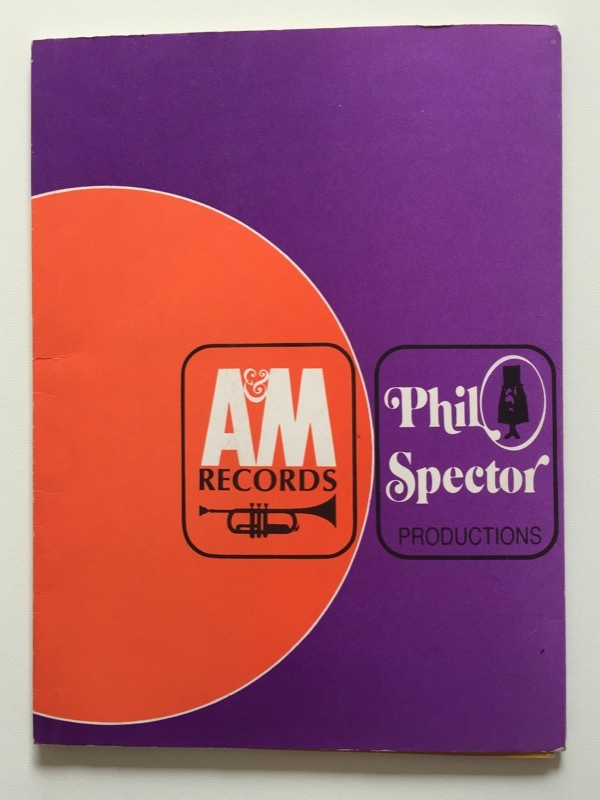 Among the stuff Phil has sent me is also a Phil Spector Productions / A&M Records promotional folder from this time, complete with sets of press releases detailing Spector’s resumé and short bios of the Ronettes and Checkmates Ltd. A&M clearly hyped their deal with Spector and had high hopes for the project. It’s a shame there wasn’t a bigger output. And voila! A&M promo folder opened and containing promo photos, artist bios and handouts for the new Spector productions. So there you have it – the final piece in my puzzle to research the history of Spector fandom. And let me thank Phil Chapman for kindly supplying me with his insights and the spare newsletters and other material he’s kept since 1969. I hope to feature an interview with Phil in the near future. Stay tuned! Here’s a photocopy of a personal message from Spector sent to Phil during the PSAS days. Very cool!